Build large functional models, prototype patterns and production parts with the state-of-the-art NEO800 stereolithography machine. Build larger or more parts faster – build platform size of 800 x 800 x 600 mm means you can build larger parts, or more parts, saving time and costs. Future material development functionality – open-resin system allows for freedom of material selection and development of new and innovative functional materials from any supplier. 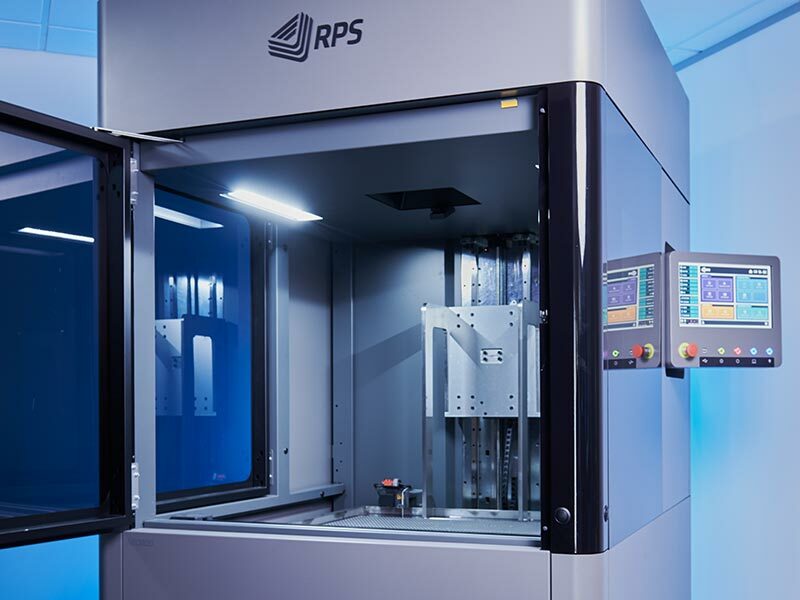 Reduced post-production and finishing – build parts with the finest sidewall quality and smoother finish due to accurate layer-to-layer repeatability, variable high-quality beam size, higher laser power, adjustable focus and scanning resolution to within 1 micron. Outstanding system performance – removable and easy-clean recoater blade, bubble breaker and inbuilt UPS system optimises build quality. Regular software updates are also available, improving performance and functionality. Excellent build control and management – intuitive, easy-to-use software allows users to set pre-defined builds, adjust settings mid-build and receive reports post-build for quality part production. Plus, stay connected and keep updated with the built-in camera, emailed progress reports and status updates. Quality assurance – carefully designed and engineered throughout, using premium components, parts and finishes, resulting in the highest-quality stereolithography system available.